If you want to get into medical school, you have to take the Medical College Admission Test (MCAT)–and to perform well, you need proper preparation. Grade Potential provides individualized, one-on-one tutoring to help students gain confidence and capabilities for scoring well on the MCAT. In fact, we’re as passionate about your academic goals as you are! Working with Grade Potential means working with a MCAT tutor who matches your unique personality and learning style. It also means tutoring takes place at your location and on your timetable. 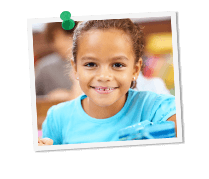 Grade Potential is committed to providing expert tutoring that is as convenient as it is helpful. Our tutors work with you to help you reach your fullest potential on the MCAT! The truth is, standardized tests like the MCAT play a huge role in a student’s academic future. Because good test taking comes with a learning curve, Grade Potential provides the support and encouragement that builds those all-important skills. Our expert tutors help students gain confidence and improve outcomes on test day!